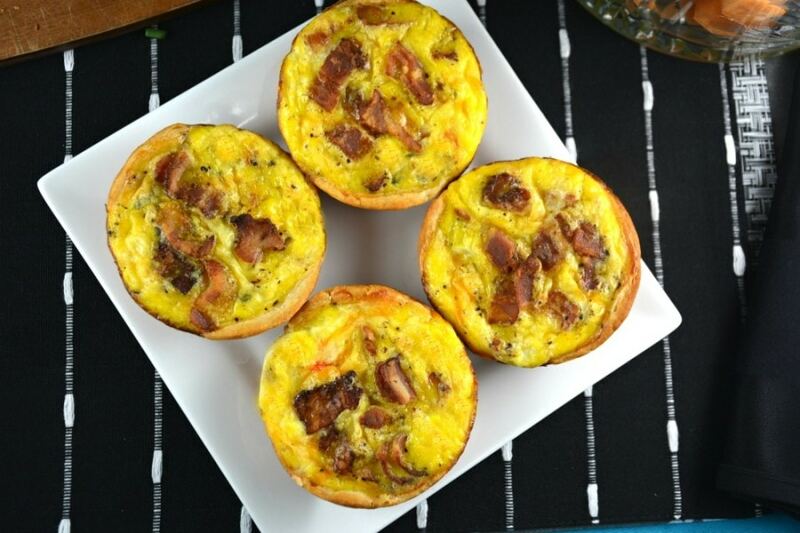 These Easy Bacon and Egg Breakfast Cups or cupcakes have been a favorite in our house for a very long time. These are that good! 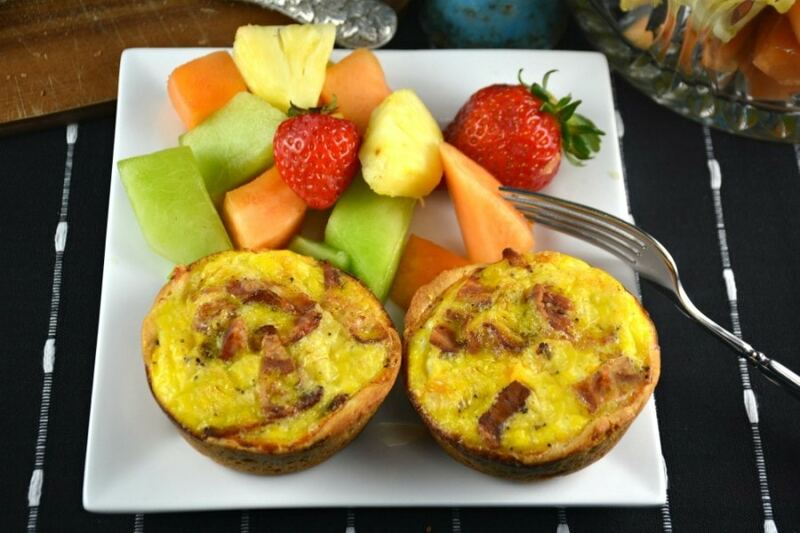 The perfect way to start any day, with or without the bacon, sausage or ham! You can easily use any vegetables you desire as well or only cheese! Turns out beautifully, every time! 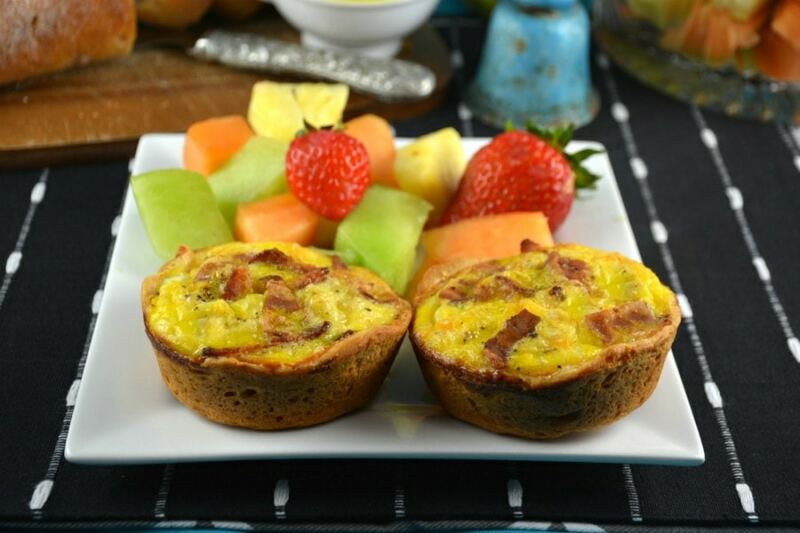 We could not decide what to call these Easy Bacon and Egg Breakfast Cups or cupcakes! They started out as cupcakes, when our son was small, now they are just cups. I kind of like the name cupcakes better but he does not so I just go along with it! I learned a long time ago to pick my battles! Ultimately, I figure their name does not matter. What is most important is the taste and how easy they are to make. That is why you will make these over and over again! Just like I have! You can look at these morning delights as a sort of fridge cleaner if you know what I mean. I usually include whatever I have on hand and needs to be used. I have sauteed mushrooms and onions, used leftover ham or a slice or two of sliced. Would you believe I have even chopped up leftover broccoli and put that inside each little cup. The possibilities are truly endless. I have even only included some cheese and they were enjoyed by all! Never a complaint and never any leftovers! We will have a video up for you to see soon! I just hope you enjoy this simple, delicious recipe as much as we do! Awesome tasting and easy too! I always keep a tube of Pillsbury Grands Homestyle refrigerated buttermilk biscuits in the fridge and this is the recipe I make most often. 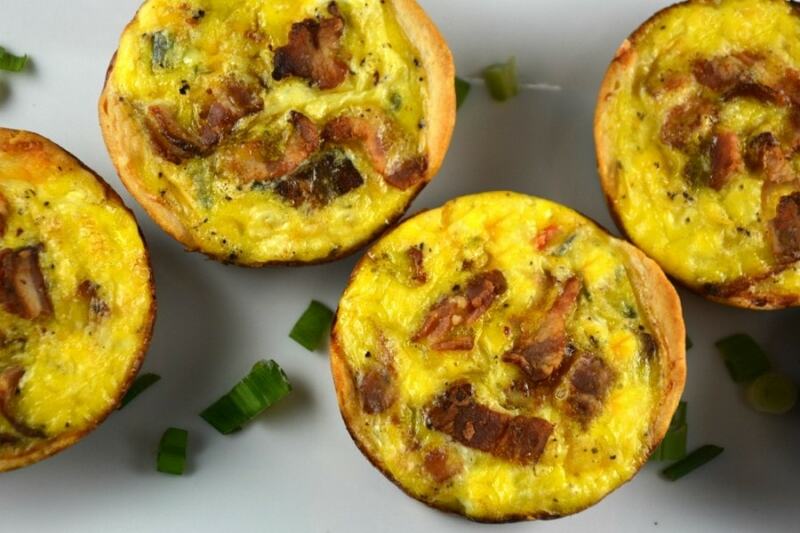 You literally can use anything you have handy in your refrigerator to make these Bacon and Egg Breakfast Cupcakes taste different every time! Also, depending on who you are feeding, you can make each one different to accommodate different tastes. Eggs, bacon and cheese. A perfect combination. You have to give these a try! Heat oven to 350°F. Cut each slice of bacon into three pieces. In a skillet, cook bacon over medium heat until almost cooked. Just starting to crisp. Remove bacon and place on paper towel. Quickly sauté your ½ cup of chopped vegetables in the hot bacon fat for a few minutes. Drain and set aside. Spray 6 jumbo muffin cups with cooking spray. Separate dough into 6 biscuits. Make them as even as possible. Place 1 biscuit in each muffin cup. Press dough three-fourths of the way up sides of cups and flat on the bottom. Put a spoonful of your vegetable mixture and a pinch of shredded cheese on top. In a bowl beat the eggs together and add milk (or water) and pepper to taste. Using a ladle, spoon egg mixture on top of veggies and cheese in each biscuit. 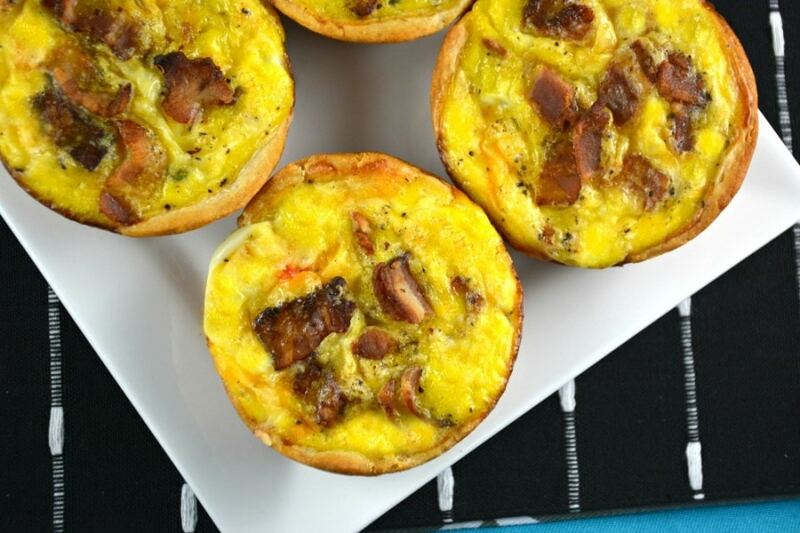 Push bacon slices into the egg mixture. Leave some sticking out of the egg. Bake 30-35 minutes or until egg is set. Run a small knife around the edge of the cups to loosen them. Use tongs to remove from tin. Serve immediately and enjoy. If using cooked ground sausage or chopped ham add it first, before the veggies and cheese.